Two Zaxby's franchisee partners with ties to the brand's corporate office are growing again. Veteran ZFI multi-unit franchisees Ben Williams Sr. and Bill McGeary, joined by Ben Williams Jr., signed a deal this fall that gives them exclusive rights to northeast Oklahoma, including the DMA of Tulsa. This deal is the second new state and multi-unit deal in the past 60 days for Zaxby's, the Athens, Ga.-based, fast-casual restaurant brand. Williams Sr. and McGeary currently own and operate Zaxby's stores in Alabama, South Carolina, and Mississippi. Williams' son, Bill Jr., will be a new partner in the Oklahoma deal. Plans call for the three Oklahoma stores to open within the next 18 months and additional stores are slated. Williams Sr. and Bill McGeary both started at the Zaxby's corporate office and have more than 25 years of restaurant operations, finance, and business development experience between them. "Zaxby's has grown, and we've grown with them," says Williams. More than 63 percent of all Zaxby's franchisees have more than one unit, while nationally only 36.3 percent of all franchisees have more than one unit according to FRANdata. "After opening with one store in 1999, we are now in four states and growing. That's a testament to how Zaxby's looks out for their franchisees. We are really one big happy family," says Williams. Zaxby's franchisees' satisfaction is highlighted by the fact that 62 percent of all new Zaxby's franchisee agreements signed in 2013 are with existing operators. "We're proud to be growing and entering a new state, but it feels even better that I'm now able to make that second generation business deal with Ben Jr. now coming aboard," says Williams. "Ben and Bill have been with Zaxby's for more than 15 years. Both started at the corporate office and then went on to open multiple stores together. Now they're helping us expand into a new state -- and nationally. 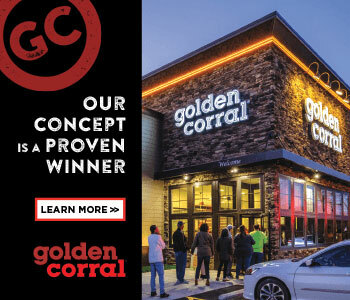 They're a paradigm, showing that motor driving our national expansion is really fueled by the success of Zaxby's franchisees," says Zaxby's CEO Zach McLeroy. Zaxby's national expansion campaign includes hitting a billion dollars in sales and expanding into two new states, all within the past 60 days.